Experience: All helmets are hand built with special care from the manufacturer. They meet the Snell Memorial Foundation for Safety Standards in the USA. Established: In 1926 by Hirotake Arai whom was a hat maker. Interesting Facts: Arai Helmet Limited is a Japanese based company that designs and manufacturers motorcycle helmets. 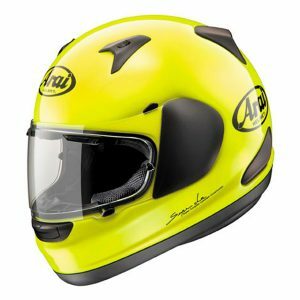 In all ten annual motorcycle helmet satisfaction studies it has ranked number number one. Along with being the quietest motorcycle helmet with customers but also satisfaction in style and ventilation. While the Schuberth C3 Pro is at the top of my list of recommended, the Arai Signet Q is extremely comfortable if you have an oval head. It is also a very quiet helmet. This is possible the best helmet that was ever made.